To celebrate the relaunch of The Whiskey Co-Op, Surry Hills’ bar Wild Rover will host three tastings in November courtesy of the folks from Overeem, Les Nouveaux Distillers and Jameson. 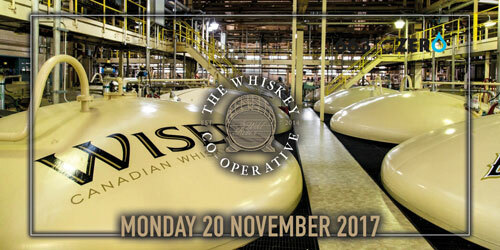 On Monday 20 November, Rachel Macdonald is returning to the Co-Op, this time bringing a bunch of rare Canadian whiskies! JP Wisers, Pike Creek, Gooderham & Worts and Lot 40 are going to be shared out. Some of these bottles haven’t been seen in bottle shops in Australia before so this could be your chance to taste them! 663 to Zero aims to provide 100,000 people with access to clean drinking water by the end of 2018 by setting up the manufacturing of a device called ‘Okuchumba Amaizi’ Mitch created from a sheet of metal. Attendees will be able to sign up to The Whiskey Co-Op on the night with $20 from the ticket price discounted off your first year membership.